Well, Project Veritas has earned the ire of Democrats again. The James O‘Keefe outlet exposed Sen. Claire McCaskill (D-MO)…for being a typical anti-gun Democrat, who also indirectly receives the support of Planned Parenthood. Two positions and an affiliation that you don't want engraved on you as a red state Democrat, especially one in a state where Trump destroyed Clinton in 2016. Banning recording has been just part of McCaskill's response to the Project Veritas video. Her campaign has said that "fraud has been committed" against it and called on her Republican opponent Josh Hawley, who also happens to be Missouri's attorney general, to launch a special investigation into the Project Veritas videos. McCaskill took it a step further, accusing Hawley of "fraudulently embedding somebody in my campaign." O'Keefe, in a statement to the Free Beacon, called the accusations of fraud from McCaskill "false and outrageous." U.S. Sen. Claire McCaskill’s campaign is demanding Attorney General Josh Hawley open a fraud investigation into hidden-camera videos released this week by a nonprofit run by conservative activist James O’Keefe. The videos show O’Keefe’s Project Veritas Action Fund going undercover to secretly interview members of McCaskill’s campaign. The group, a 501c4 nonprofit, advertised the videos as proof that McCaskill, a Democrat, has been hiding her views on guns and abortion from Missouri voters. David Kirby, McCaskill’s campaign manager, said in a conference call with reporters on Wednesday that there is reason to believe Project Veritas committed fraud that violated the state’s merchandising practices act. That law prohibits deceptive business practices and is enforced by the attorney general’s office. A spokeswoman for the attorney general’s office did not immediately respond to a request for comment. Hawley responded on his campaign’s Twitter account. 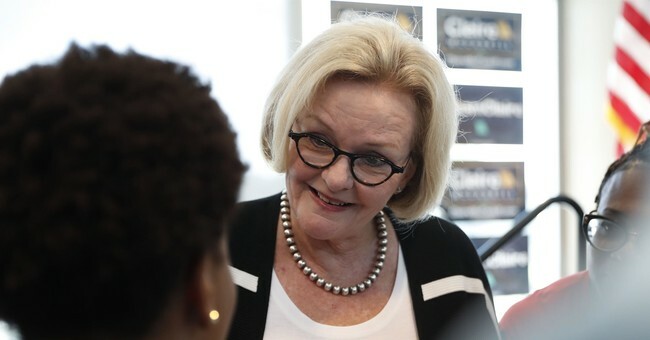 A right-wing group called Project Veritas Action has released an undercover videotape of Sen. Claire McCaskill and her campaign staff, claiming it reveals misstatements by the Missouri Democrat and supporters. The tape is worthless. It reveals nothing voters do not know, or assume, about any candidate for office. Voters should ignore it. More concerning is the use of undercover video to capture this nonsense. While all the facts remain unclear, an activist posing as an intern apparently infiltrated McCaskill’s office to capture the images and audio. So we’re clear: Project Veritas Action began its work by lying, directly and unequivocally. It might be prosecutable fraud. No candidate should endorse this kind of activity. It also violates the ethics policies of every reputable news organization. “Deception is a form of lying and is to be avoided in news-gathering,” The Star’s ethics policy states. This is such crap. The race is close, very close, and this could animate dormant GOP voters in the state and finally do something that should’ve been done in 2012: retire Claire McCaskill. Hawley is right. She’s just mad that she got caught and is throwing a Hail Mary to try and save her job. A Democrat got exposed for being a total liar. Yes, a Republican very well could have been in McCaskill’s shoes, but when these folks are caught lying to voters, no matter what, they pay attention, hence why the op-ed department took such an aggressive stance. Also, would The Kansas City Star consider Nellie Bly’s methods of reporting on abuse allegations at the Women’s Lunatic Asylum on Blackwell’s Island unethical? It was reporting that offered a firsthand account of the atrocious conditions inside the facility, by the way. It seems for some that we should just take people at their word because no one lies…especially in politics.